You need to find a place to store all the bottles, once you have started collecting wine. A wine refrigerator or wine cooler is a good solution. However, the collection quickly grows for many enthusiasts. Creating wine storage or wine cellar and purchasing the wine cooler unit is the logical step. Deciding the location is the first step is choosing a wine rack. Placing a wine rack in the kitchen where changing temperature and sunlight can quickly ruin a bottle of wine. This is the biggest mistake many people make. I recommend installing a wine cooler unit; if needed, you can also install wine racks. 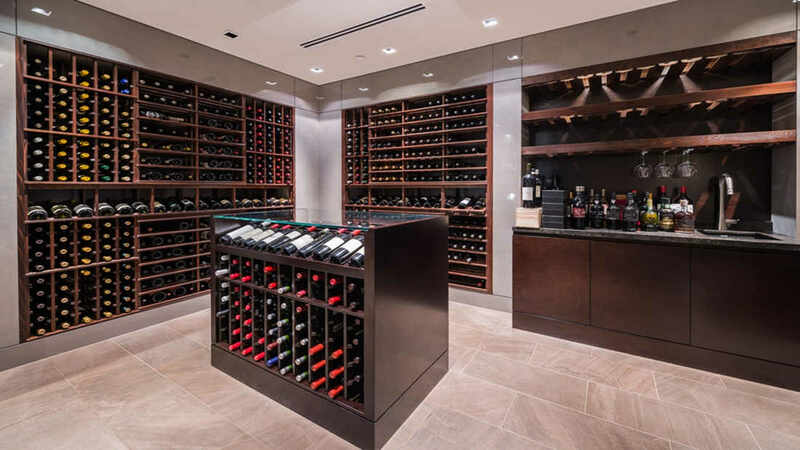 When you are brainstorming ideas for wine room construction, the basement is the coolest part of the home. I recommend you to carefully consider which wines to store in wine racks. For wine storage e, even in the basement, the temperature can rise above the 55 to 57 degrees Fahrenheit and humidity levels can vary. How much wine you want to store is one of the most aspects of choosing a wine rack. The answer to this question depends not only on the types of wines you prefer but also on the amount of wine you drink. In the standard openings of many wine racks, certain types of wine bottles will not fit in this. Most champagne bottles are requiring larger openings, and these are much larger than standard bottles. These are slightly larger than the standard space. A few models are made from metal but most wine racks are made of wood. The heavy metal wine racking is good to hold the bottles. It does not allow the bottles to slide around because of bent wine racking that holds the neck in place. This keeps the bottles on their surface all the time. The racking should be on level ground, make sure of this. When you purchase any wine cellar racks, it is suggested to look carefully at the construction. Before making a purchase I recommend you to look at several key construction areas. A wooden wine rack will be stable and stronger. In wine rack construction, the thickness of the wood pieces used is also critical. Even if the inferior wood racks are less expensive, I warn against the buying of these racks. Purchasing modular wine shelves or racking is a popular and cheaper solution. You can find wine racks made from kinds of wood, ranging from mahogany to pine. Mahogany or redwood is enough to bear heavy wine bottles and which last long. These are hardwoods and these are needed to make high-quality wine racks. Pine or other softer woods are also needed when you are planning for wine room construction. Cedar is an aromatic wood, some wooden wine racks are made from cedar. The odour can spoil your wine, therefore, some experts warn against using cedar racks. Wine racks can be free-standing or wall-mounted and come in all sizes and shapes. Particularly, be sure your wine rack is secured if you live in earthquake country. I am suggesting you think twice if you are considering diamond-shaped wine racks. This is quite dangerous for round-shouldered bottles though diamond looks cute. • Cellar, cooler or racks? How many bottles you will buy is the ultimate answer when choosing cellar, cooler or racks. If you store it properly, you will only be able to enjoy your wine. To build a real wine cellar in your home, you may not need to have room. Wine racks are best used in humidity and temperature controlled area and which is away from vibration and sunlight. I recommend that people buy an inexpensive wine fridge that holds 15 to 50 bottles. It is a sensible saving. It is essential to protect your wine collection. In conclusion, if you appreciate your wine, wine rack is a good investment. Certainly, it provides a convenient means of storing your wine in the one place and it enables you to show off your collection. It protects the contents against the unwanted air and it is the most beneficial to the maturing process. With over a decade of experience in the wine industry, Neil Smallman serves as manager of wine room construction services. Trained in wine cellar production, Neil Smallman spent many years making wine cellar racks. He has designed, opened and managed two three wine bars in Australia.